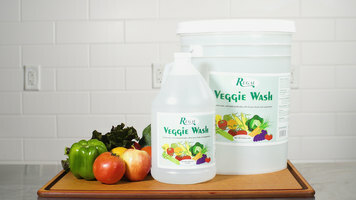 Safely and effectively clean your fresh vegetables and other produce with Regal Veggie Wash. Agricultural pesticides and waxes are developed to be water-resistant so that they aren't washed away during periods of rain and irrigation. Therefore, simply rinsing your produce with water won't always do the trick. Vegetable wash will help to ensure that all surface preservatives, agricultural chemicals, waxes, soil, and other contaminants are eliminated. From cucumbers and tomatoes to apples and strawberries, Regal Veggie Wash is the ideal solution for all of your produce cleaning needs. "Amazing product! it does not take much wash to throughly clean any fruit or vegetable. Also too, it does not leave a sticky film behind." Regal Veggie Wash will leave all of your fruits and vegetables tasting fresh and natural like they should without leaving odors and residue behind. This highly-concentrated wash can be applied directly to produce in a fine mist or diluted with 4 to 6 oz. of wash per every 1 gallon of water to create a powerful dipping solution. A great choice for food prep areas, it's even versatile enough to clean countertops, cutting boards, and other food contact surfaces! 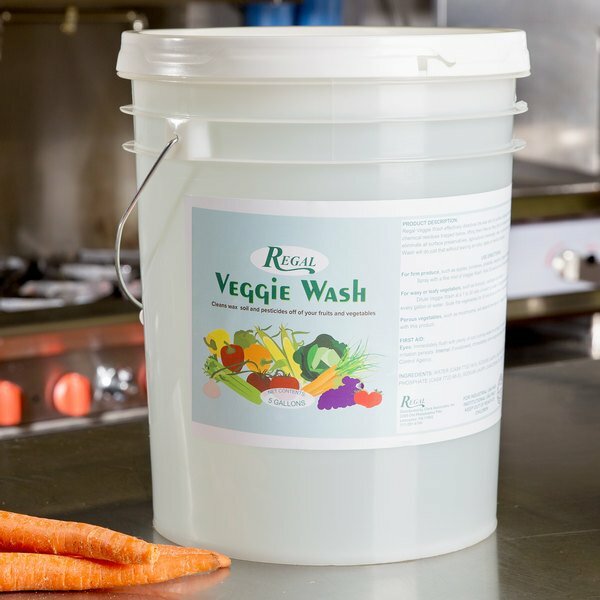 A must-have addition to any restaurant, sandwich shop, or other operation, this Regal vegetable and fruit wash dissolves the wax and oil surface coatings which can trap bacteria, dirt, and chemicals. This wash allows such residues to be effectively lifted so that they can be rinsed away with water. Food safety is a necessary concern in any food service operation, and that includes the cleanliness of each fruit and vegetable used. 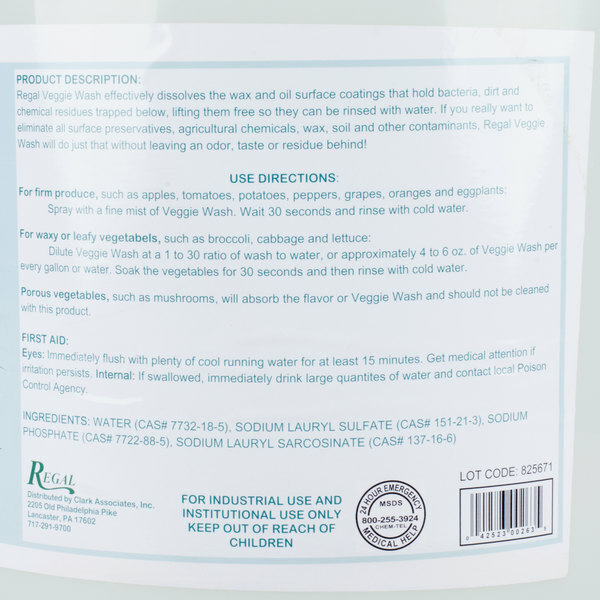 To ensure that fresh produce is clean, chemical-free, and ready for preparation, use Regal Veggie Wash to lift away unsafe residues and physical contaminants. Find out more by watching this short, informational video. 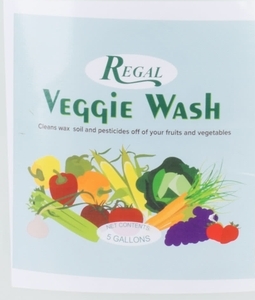 Use Regal Veggie Wash to get rid of the farm residue, chemicals, and waxes on your food. Make sure to use the wash before cooking or serving to give your guests the best possible produce that you can offer. The wash works by lifting the residue off of your product. Waxes and oils that trap bacteria are easily dissolved by this wash. 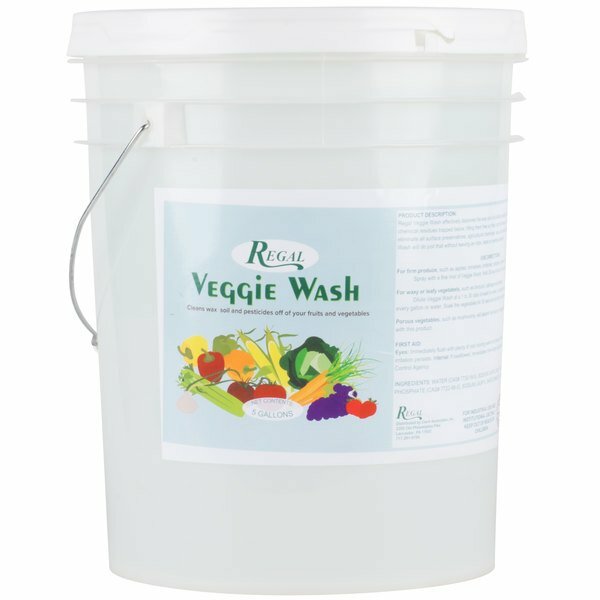 Since there is no odor or residue from this Veggie Wash, you can be sure your fruits and vegetables will taste their best. For firmer produce, like tomatoes and oranges, spray the produce with a light mist, wait 30 seconds, and rinse with cold water. For leafier vegetables, like broccoli and lettuce, dilute 4 to 6 ounces of Veggie Wash into a gallon of water. Then, simply soak your produce for 30 seconds followed by a cold water rinse. This versatile formula is a necessity in every kitchen. Beyond your fruits and vegetables, use the same wash to clean your countertops or cutting boards! 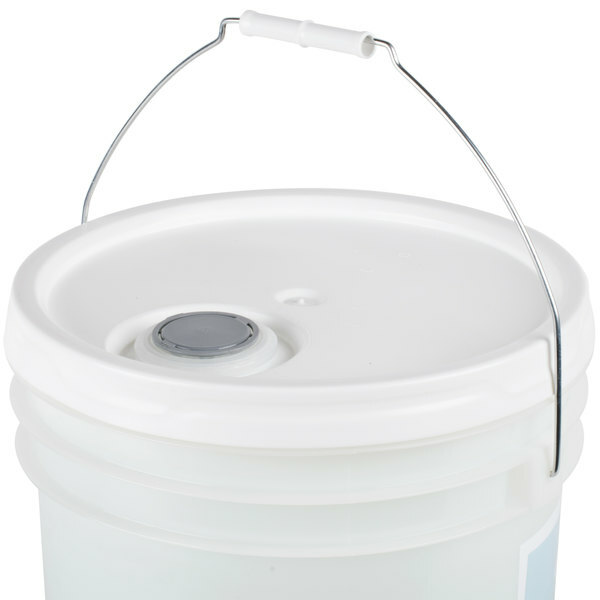 It is ideal for food prep areas where you need clean products and a clean work station. 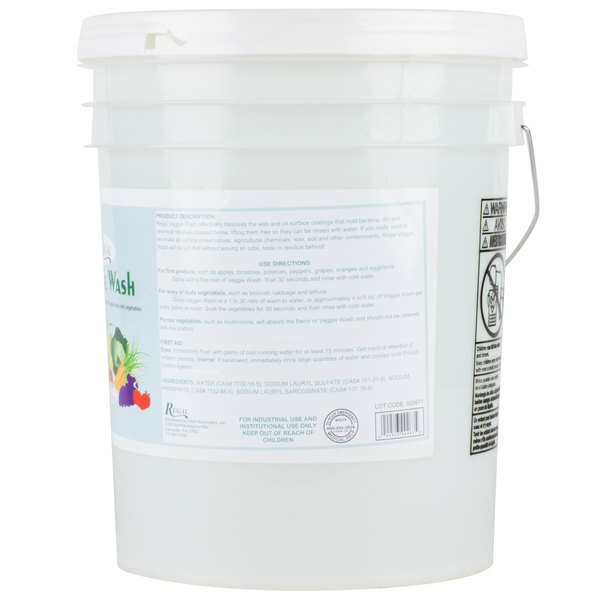 Available in 1 gallon and 5 gallon quantities, you can get as much Veggie Wash as you need. Serve fresh, clean fruits and vegetables to your guests by using Veggie Wash to keep your food clean and chemical free. This wash is great! We use it on cucumbers because we dice them with the skin on and usually have a wax layer on it. but this wash takes care of it and doesn't change the flavor at all! Amazing product! it does not take much wash to throughly clean any fruit or vegetable. Also too, it does not leave a sticky film behind.